Police retained the Kenya Open Championships for the fourth consecutive year enhancing their chances of forming the bulk of the national team for the 2011 All Africa Games and the 2012 London Olympic Games. 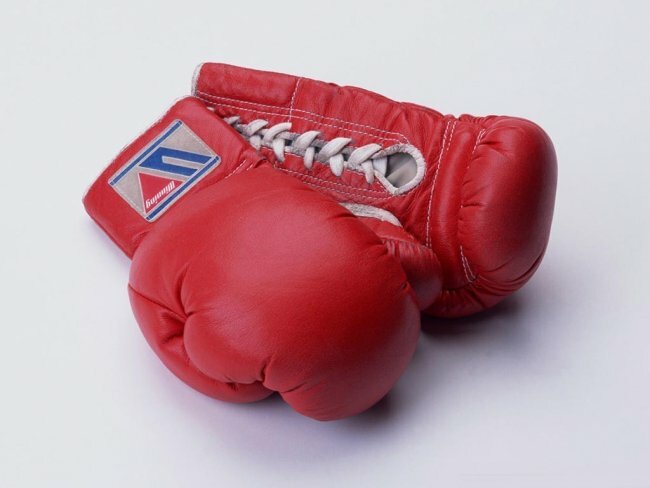 The Kenya Police chafua chafua team won the title after amassing 20 points with four of their seven pugilists winning their respective bouts on sunday in Nanyuki. Armed Forces were second with 16 points while Kenya Prisons and Nairobi tied with nine points to the third position. Nakuru ABC was fifth with three points and Nyanza last with two. They were Tobias Okeyo in the middleweight, Martin Oduor in the bantamweight, Thomas Kasina in the flyweight and Victor Onyango in the light welterweight. The Referee had to stop the contest pitting Okeyo and George Otieno of Kenya Prisons in the second round while Oduor defeated Olympian Nick Okoth of Armed Forces 2-1 points. Kasina hit Chris Vijija of Kenya Prisons 7-4 points and Onyango dismissed Steve Onyango of Armed Forces at 6-2 points. Amateur Boxing Association of Kenya secretary general Isaac Mbote asked players to use the National League to improve their speed, fitness and exposure. “For now, we are more focused on the All Africa Games in Mozambique in August next year. That does not mean we are not interested on the 2012 London Olympic Games,” Mbote told sportsnewsarena.com. Meanwhile, the first Olympic qualifiers would be in Azerbaijan and not Bussan, South Korea in September next year. The International Amateur Boxing Association (AIBA) changed the venues at a council executive meeting. The second Olympic qualifiers will still be held in Rabat, Morocco in March 2012. Light Fly(49kg);-Mathayo Keya of Nairobi dismissed Eddy Ng’ang’a of Kenya Police 5-4 points. Fly(52kg);-Thomas Kasina of Kenya Police defeated Chris Vijija of Kenya Prisons 7-4 points. Bantam(56kg);-Martin Oduor of Kenya Police beat Olympian Nick Okoth of Armed Forces 2-1 points. Light(60kg);-Dennis Okoth of Nairobi dismissed Silas Omanyala of Kenya Police 10-8 points. Light welter(64kg);-Victor Onyango of Kenya Police beat Steve Onyango of Armed Forces 6-2 points. Light-welter-Ladies Contest;-Mary Muthoni of Nakuru received a walkover after failing to get an opponent. Welter(69kg);-Nick Abaka of Armed Forces beat Niven Okumu of Kenya Prisons 4-1 points. Middle(75kg);-Tobias Okeyo of Kenya Police clobbered George Otieno of Kenya Prisons on a Referee Stop Contest(RSC) in the second round. Light heavy(81kg);-Joshua Ndere of Armed Forces outclassed David Njuguna of Kenya Police on a RSC in the first round. Heavy(91kg);-Aziz Ali of Prisons defeated Fredrick Onyango of Armed Forces 4-1 points. Super Heavy(Over 91kg);-Victor Ombok of Armed Forces Technically Knocked Out(TKO) Peter Opudi of Kenya Police in the first round.